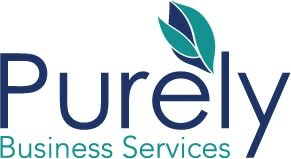 Purely Business Services are passionate about aiding SME’s and start ups. We are not just about blue chip logistics and warehousing, we are about finding the right solutions, that are right and sustainable for our clients. Management of your Supply Chain is about ensuring that efficient, effective processes and networks are in place to enable the logistics of getting your finished products to the right place, at the right time, in the right quantity and the right quality. Supply chain management is not just about logistics or transport, supply chain management essentially covers the whole life cycle of your product, from a raw material to the finished product being delivered to your customer base. Managing your Supply Chain also covers the process from sales forecasting (demand planning) to purchasing (procurement) to supply / production planning / scheduling to warehousing, inventory control and route to market. Please feel free to contact us for a no obligation exploratory discussion of your requirements.